Exposure to the sun's rays can be benign, resulting in the darkening of fair skin and nothing more. More extreme exposure can cause radiation damage to the skin, that is, a sunburn. 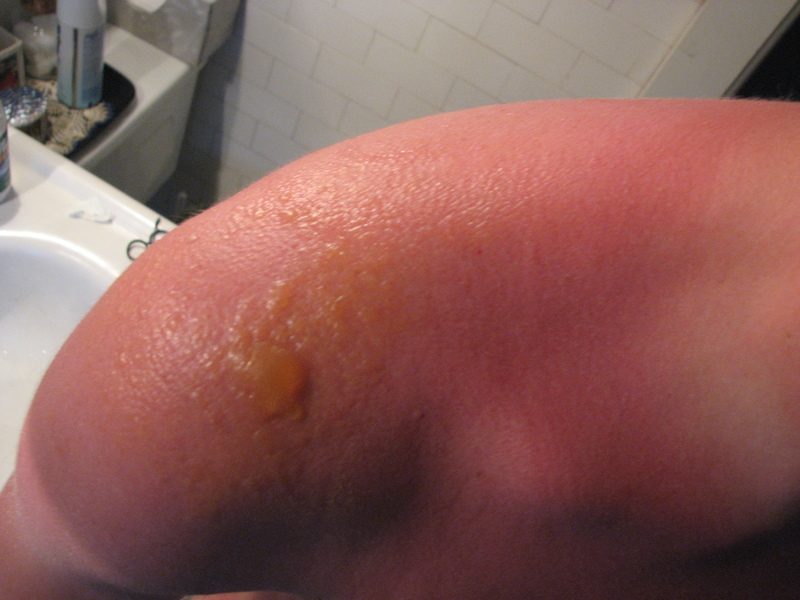 Sunburn is due to ultraviolet (UV) radiation exposure (also from welding torches). UV sits in the position between x-rays (ionizing) and visible light (non-ionizing) wavelengths. 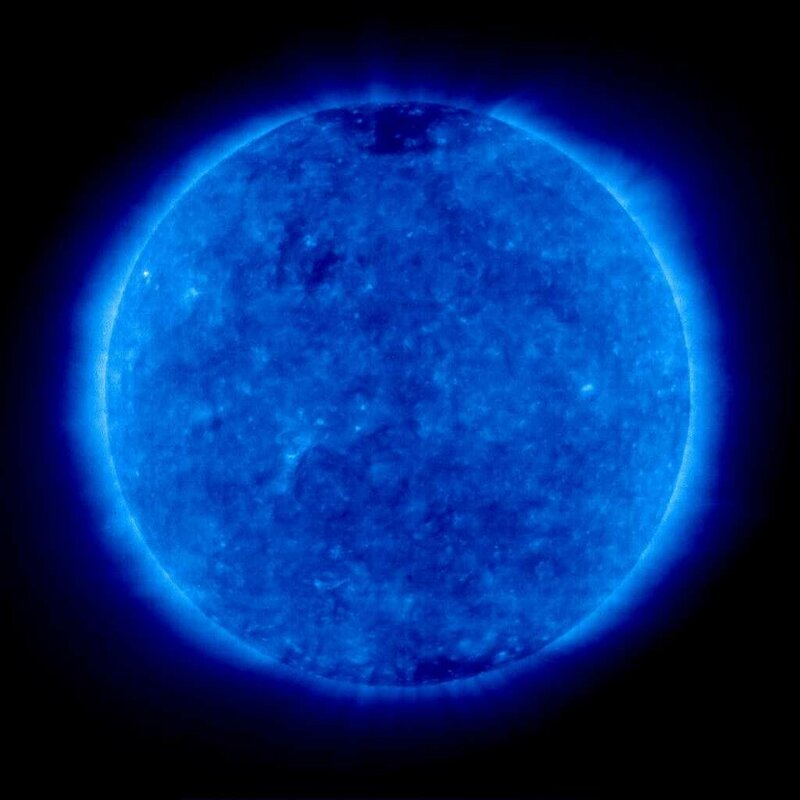 However, the higher wavelengths within the UV spectrum can be ionizing and therefore, potentially damaging to living tissue, resulting, in the long term, in DNA changes and skin cancers as well as effects on the eye causing cataract formation and blindness. 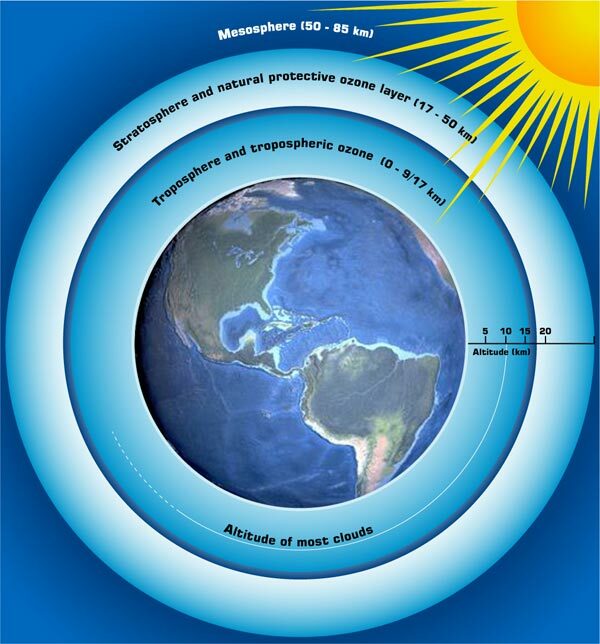 Ozone in the atmosphere is another of earth's shields that protects us from the sun, blocking out the damaging UV wavelengths. Loss of this ozone layer (such as can occur with ozone depletion secondary to pollutants or a coronal mass ejection) exposes everything in the sun's path to damaging UV light. But if struck by a CME, head protection, sunglasses and SPF sun screen won't be very helpful; the ionizing UV rays are perhaps, the least of our worries. It is the ionizing components of the plasma blast of a CME (solar proton event, x-rays, gamma rays) that will kill everything in its path. Distance from the event is only practical for those who are shielded from the direct hit, being on the 'night-time' side of the planet at the time of CME impact. Time exposure, how long a living being remains exposed to the ionizing radiation is also a factor - unprotected astronauts in space have no hope of survival, people on the ground have minutes, perhaps only seconds to 'get out of the way'. But it is shelter from the storm that is the most important factor in survival. Shelter for you; shelter for your food; shelter for your water. Several different materials can provide shelter from the 'anger of the sun'. In decreasing order of provision of protection are lead, concrete, steel, packed soil, water, wood, open air. Obviously, sitting out in the open air will not be sufficient. Wood and water do not provide enough protection. Most people do not have access to thick lead, concrete or even steel overhead shelter. But 3 feet of packed soil (rock) will reduce gamma radiation (the most harmful) to less than one one thousandth of what it otherwise would be. And where do you find 3 feet (or more) of rock shield? 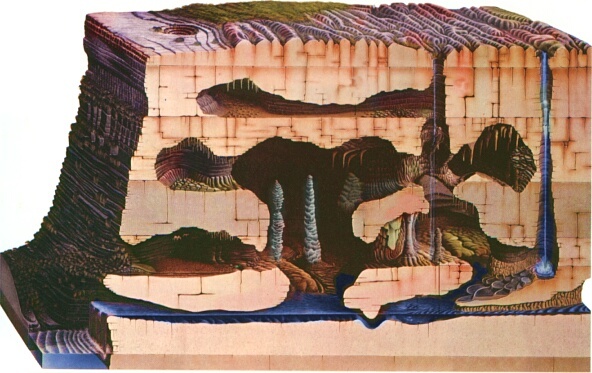 Back to the stone-age into a deep, dark cave. *Solar radiation: subject of research for the novel The Tao of the Thirteenth God - Amazon Kindle.